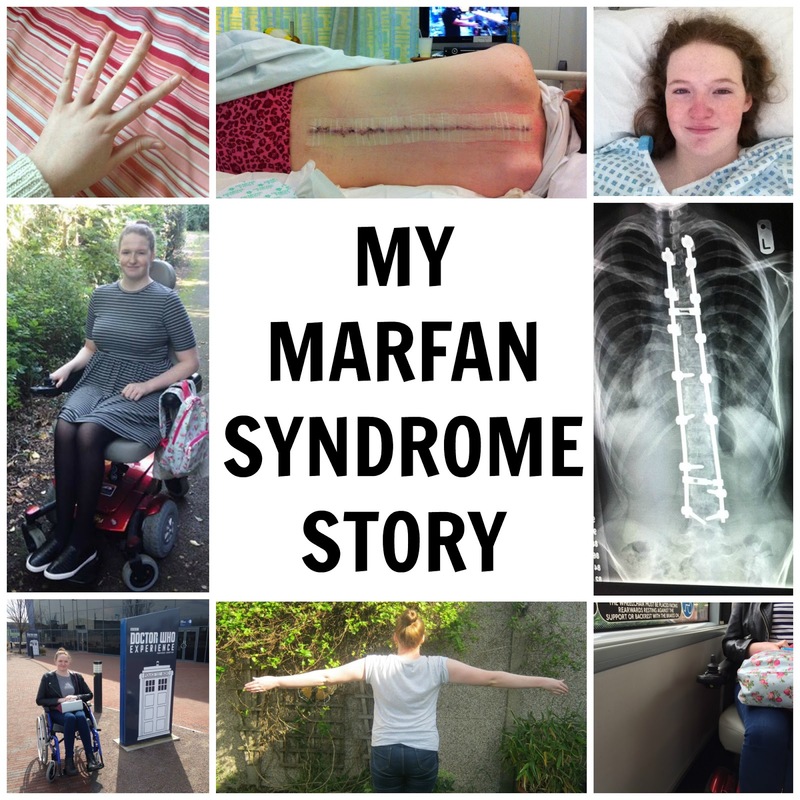 Last year for Marfan Syndrome awareness month I wrote a blog post talking about my journey with Marfan so far, it was meant to be part 1 of 2 but life got in the way and the second part never got typed up. A year has passed and February has come about again, which means that it's awareness month again, a chance to raise awareness of Marfan. I'll be tweeting daily facts, as well as sharing them on Facebook, and I've got other blog posts planned but something I knew I wanted to do was share my story properly, both parts this time. I'm starting from scratch, because telling a story from the middle feels so odd. 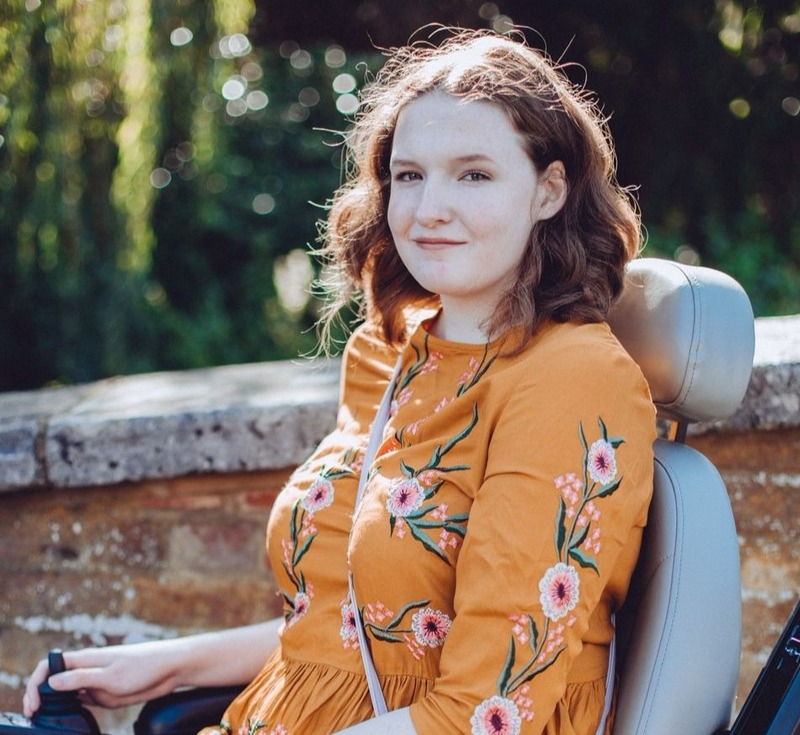 Whilst I regularly talk about Marfan, my health and disability on my blog and social media I've never actually shared my full story before. You've only ever got snippets. For me, sharing my story is so important when raising awareness. I can share all the facts I want but it's real world experience that teaches people the most, so hopefully you'll come away from this post having learnt a thing or two. Grab a cuppa and some biscuits because this is going to be a long read. For those of you who have never read a post about Marfan on my blog before here's just a little about the condition, but I'd also recommend reading my information page about it. Marfan Syndrome is a rare genetic connective tissue disorder that can affect the whole body, everything from the heart to the joints. The connective tissues in Marfan are too stretchy and these can lead to a whole host of problems, including life threatening heart abnormalities. Some of the signs and symptoms of the condition include being tall and slim with long arms, legs and fingers, having hypermobile joints, scoliosis, aortic aneurysms, skeletal & breastbone deformities and eye problems such as lens dislocation and early glaucoma and cataracts. I was diagnosed with Marfan Syndrome as a baby but my Mum says that she was sure that I had it before I was even born due to seeing my long arms and legs on ultrasound scans. She knew she had Marfan because she had inherited it from her Father who unfortunately passed away when she was just 7 years old, he died from an aortic dissection which is a common problem associated with Marfan Syndrome. Her brother also had the condition but again, he passed away from aortic dissection when he was young as well. When I was born my Mum's suspicions came true as it was clear that I definitely showed some of the signs and symptoms and an ultrasound scan of my heart when I was a toddler confirmed the diagnosis since my aorta was a little too big for my age and size. 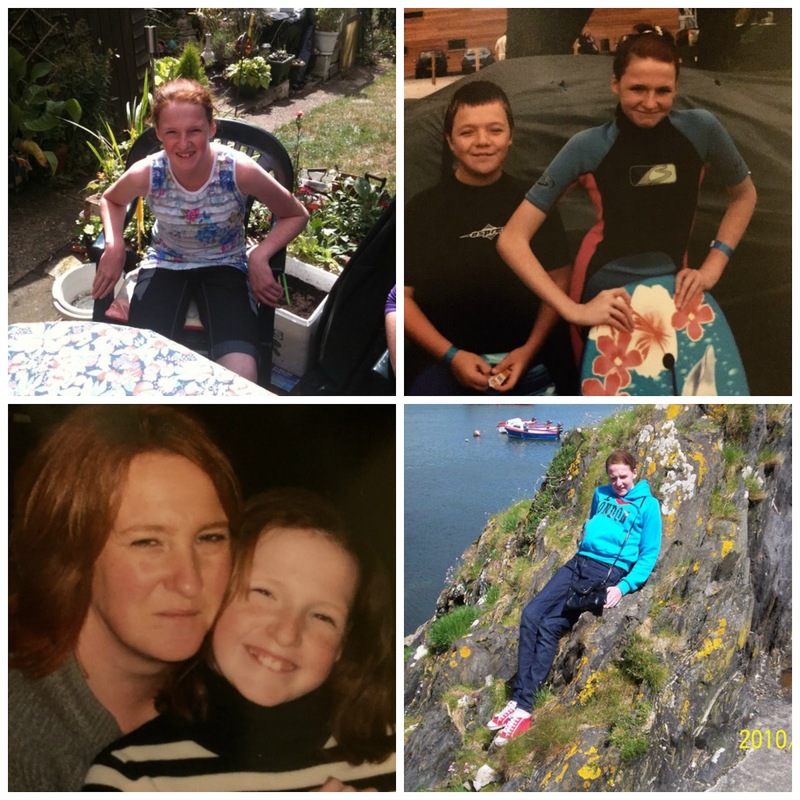 As I grew up into a seemingly energetic child more symptoms started popping up, joint hypermobility and pains became part of my daily life, I could deal with that though. But, I struggled to deal with the bullying at school. Marfan makes me quite slim, especially my arms and legs, and kids saw that before I did. The comments of 'you look anorexic' began, I tried to explain that I had a genetic condition but they didn't listen. Needing days off school for hospital appointments didn't make that side of things any better either and but the teasing finally stopped when my health declined and became more serious. When I was a young teenager I was diagnosed with Scoliosis, this is the sideways curvature of the spine and at first my curve was only 27 degrees which was mild and manageable. It was monitored with regular x-rays but suddenly when I was 15 and starting my second GCSE year my back pain got considerably worse. X-ray's revealed that my curve had quickly progressed to 50 degrees so I was booked in for spinal fusion surgery where they would use metal rods and screws to straighten my spine. My surgery date was just after my GCSEs had finished so I could have the surgery and be recovered enough to start my A Levels in September, that didn't go quite to plan though. I went into hospital the night before and everything went forward as it should, having blood taken etc. However, when I woke in the morning things went downhill. At first we were told that my surgery would be delayed due to my surgeon having a personal incident to deal with, I was meant to be first on the list and it was around midday by the time we were being told this. Then hours later a messenger arrived to tell me that the surgery was cancelled because the anaesthetists were concerned about my heart problems. The heart problems that they were informed about at my pre-op assessment, problems that they said weren't an issue. Suddenly they were speaking like they had never even heard of my heart problems before and requested that I see my cardiologist before we even set another date. I was only 15 at the time, in tons of pain, extremely hungry after not eating for about 18 hours and all I wanted was the surgery I'd came for. Tears followed, a lot of tears but there was nothing I could do and I knew that it was unlikely I'd get my surgery before school started again. I was given a new surgery date for the start of December which meant that I would need to take at least 6-8 weeks off school to recover, not ideal but I was ready to try and get through it all. I enjoyed education so was certain I could catch up with everything I was going to miss. This time round things went to plan and I was taken down to surgery at about 1pm and was in recovery at about 7pm, heading to the High Dependency Unit soon after. I wrote a diary style post all about the week I spent in hospital that goes into detail about standing up for the first time, walking again etc. Unfortunately that week in hospital didn't go as smoothly as we expected though as on Day 7 I started having problems. I woke up during the night with excruciating pains in my right leg, I had never experienced pain like it and I was crying my eyes out. I saw the physio about it and they iced my leg and gave me some exercises to do, assuming that it was probably a soft tissue problem, unrelated to the surgery basically. The pain was worse when sitting and standing so my recovery went backwards, I was certain that the pain was nerve related but my team didn't agree at the time. I was discharged soon after but the pain continued and my recovery paused completely since I was struggling to even sit up long enough to eat. I didn't return to school after 6 weeks and my school were pretty useless actually, barely sending me any work home. It wasn't until my 6 month follow up that a registrar started believing that my pain might be a bigger issue and I finally had some scans. A CT scan revealed that a screw was sitting on a nerve, nerve pain as I had predicted, and I was put on the waiting list to have the screw replaced and re-positioned. I was happy that the issue was going to be solved but I also hadn't prepared myself that I might need further surgery, as far as I was aware all I had to do was have this big surgery and then all would be fine. I had the second surgery in September, nearly a year after the first surgery, and thankfully it was a success. It was a smaller surgery but it was still tough, I wrote a post all about it at one month post op and I even mention having problems with my hips in that post, little did I know what was just around the corner. Look out for part 2 next week! You can follow my FB page, My Marfan Life, to learn more about Marfan Syndrome and my experiences.